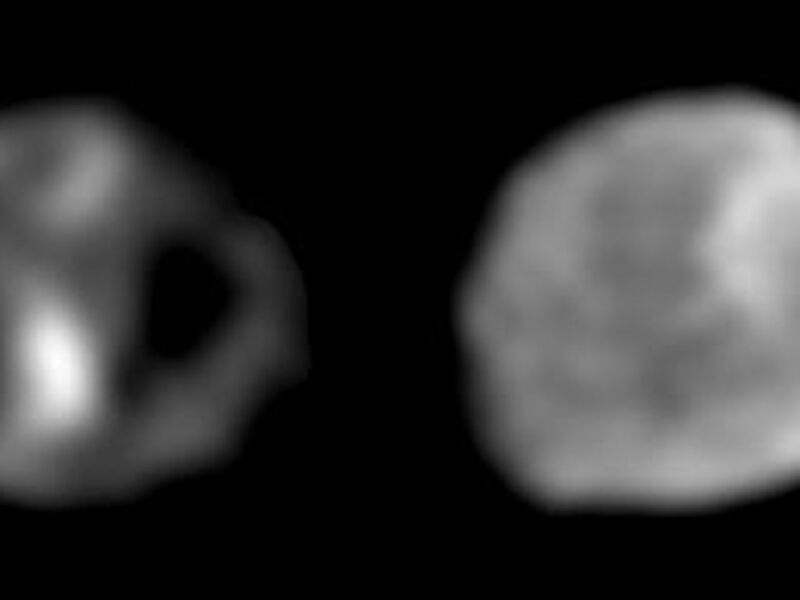 These two images of the Jovian moon Thebe were taken by Galileo's solid state imaging system in November 1996 and June 1997, respectively. North is approximately up in both cases. Thebe, whose longest dimension is approximately 116 kilometers (72 miles) across, is tidally locked so that the same side of the satellite always points towards Jupiter, similar to how the nearside of our own Moon always points toward Earth. In such a tidally locked state, one side of Thebe always points in the direction in which Thebe moves as it orbits about Jupiter. This is called the "leading side" of the moon and is shown at the left. 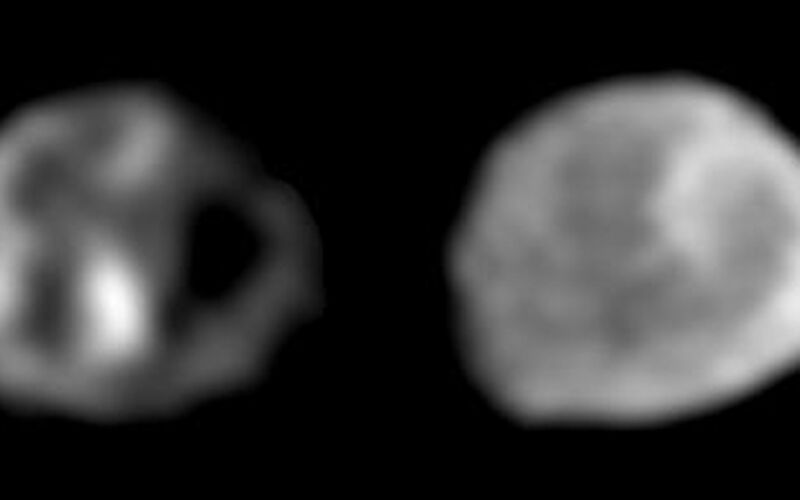 The image on the right emphasizes the side of Thebe that faces away from Jupiter (the "anti-Jupiter" side). 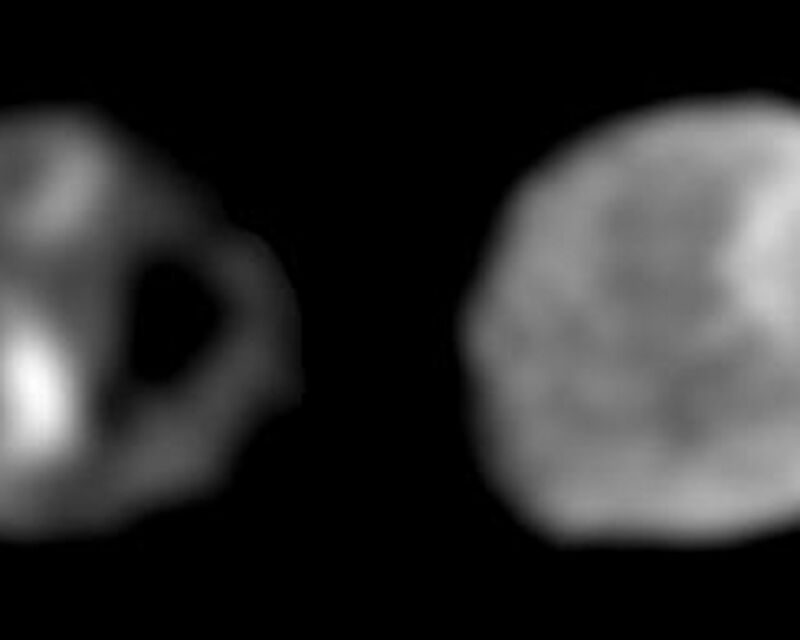 Note that there appear to be at least three or four very large impact craters on the satellite--very large in the sense that each of these craters is roughly comparable in size to the radius of Thebe.